Window materials and installations should be reliable. But the low construction standards of some window replacement companies leave homeowners frustrated and concerned. 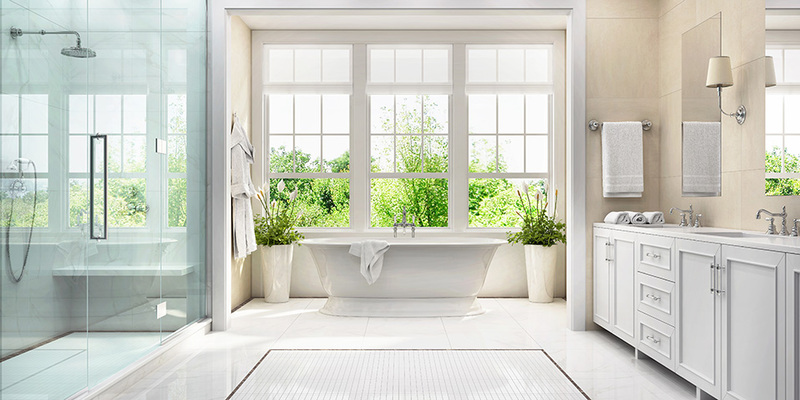 At Kelly Window and Door, we understand the displeasure some homeowners experience with window products and contractors. That’s why since 1994 we have provided the Triangle with over 4,000 successful installations using the top products in the industry, installed by skilled craftsmen, for long-lasting indoor comfort and outdoor beauty. Get the most dependable double hung window on the market, Restorations, carried by Kelly Window and Door. Its fusion-welded frame and sashes make it extremely strong and durable. The naturally sloped sills of a Restorations double hung window allow it to drain without requiring unsightly drain holes, keeping moisture outdoors. Unlike typical double hung windows, the Restorations line features three continuous weather-strip seals, which create a nearly airtight seal from top to bottom, securely keeping your heat and air inside, saving you money monthly on utility bills. Restorations meets Energy Star requirements for every region in the United States, so they are perfect for your North Carolina home. Restorations double hung window warranty is transferable, should you sell your home. There is a lifetime non-prorated transferable warranty for the PVC frame and sashes. The warranty promises that the welded corners will never separate, and the PVC extrusions will not chip, crack, delaminate, peel, face, blister, or warp for as long as you live in your home. Exterior painted colors have a 20-year warranty not to blister, crack, or peel, and a 10-year warranty not to fade. The hardware, balances, and other moving parts have a lifetime non-prorated transferable warranty. The insulated glass has a lifetime non-prorated transferable warranty. The glass and screen have lifetime non-prorated warranties. We are very pleased with the windows and the guys that installed them did a great job! Thank you! You did an awesome job! I wish there were more companies like you and your staff!